Brick & Beam Society is an Individual Giving Group within United Way of Greater Portland and consists of a community of emerging and established professionals committed to increasing STEM and literacy enrichment opportunities for under-served children in Greater Portland. Members invest their time, skills, and finances through United Way of Greater Portland to support programs that align with Thrive2027 and give the kids in our community a better chance to succeed as adults. 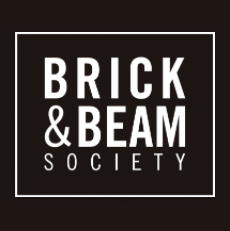 Brick & Beam Society members have opportunities to connect with each other and the community through social gatherings, events and volunteering opportunities. Committee participation gives members a leadership platform to make investment decisions and enhance member benefits. Members are invited to participate in personal and professional enrichment workshops; intimate conversations with C-level executives, community and thought leaders; and are recognized in United Way of Greater Portland’s Leaders Circle. Brick & Beam Society takes both a proactive and reactive approach to funding with immediate impact and long-term strategy impact grants. We strive to meet the community’s most pressing needs, as well as make longer-term investments to ensure lasting change. Thoughtful philanthropic events with local and national leaders that help members shape their personal giving philosophy. Hands-on education and volunteering opportunities to truly understand the issues. Purposeful, topical conversations and workshops with executives and thought leaders. Impact investing where Brick & Beam Society ultimately determines how its dollars are used to make the biggest difference. Membership in The Brick & Beam Society is based upon an annual contribution of $1,000. The step-up program allows participants to contribute $500, with a commitment to getting to $1,000 within three years. Step-up participants will be recognized as members starting in year one.